Butterball deep fryer: What’s the hype about? 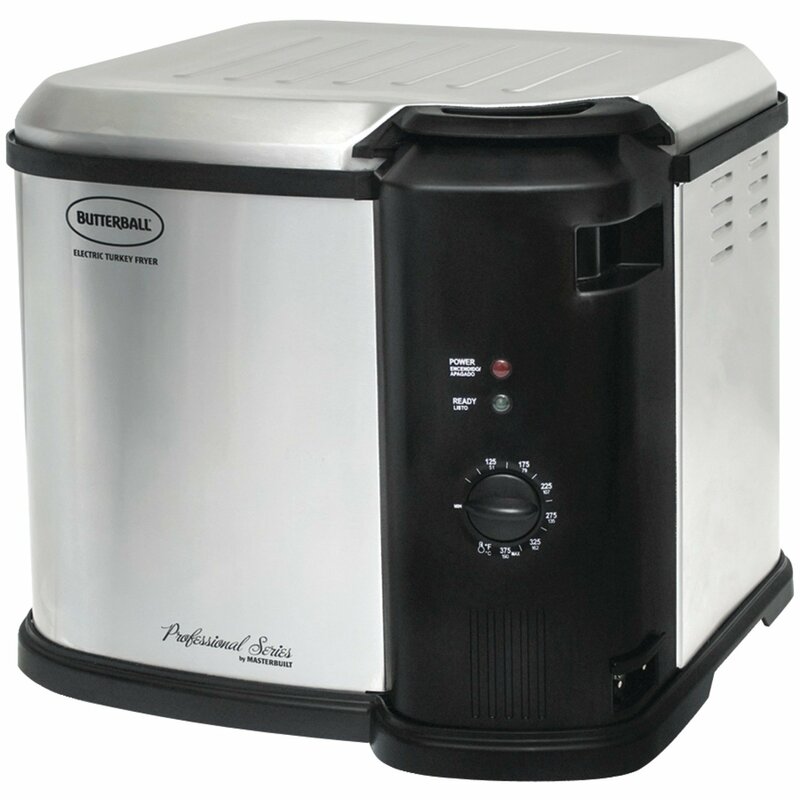 The butterball deep fryer is one big cooking equipment that is electrically powered. With its size, a 20 pound turkey could be cooked and deep-fried with so much ease! It’s also a lot safer and convenient as compared to conventional and deep casseroles that people used to employ in deep frying. They say that cooking is an art, and it sure is! But it could sometimes be intimidating to others. Some dishes are easy, while others may require knowledge and skills in executing some cooking techniques to achieve a well-cooked and tasting dish without accidents. One of the cooking techniques that may require utmost care for most is deep-frying. A lot of starters in cooking take extra care in deep-frying, as it is prone to oil splashing, thus burns, or even fire occasionally. Why let that stop you from creating juicy meat with crispy skin at home? Here we’ll talk more about the butterball deep fryer, its highlights, features, and even deeper with its pros and cons. If you’d like to know more about the butterball fryer, or if you simply want to have some help in deep frying without fear of getting a blister. Read on! Some of the greatest attributes of the butterball deep fryer are these: safety, ease of use, and economical. The butterball deep fryer has safety features that make deep frying a hassle free task. Best of which is its no-splash design with a porcelain inner coaing and stainless steel outside. It also has a lid that secures the oil and heat inside. This assures that oil won’t splatter all over the countertop, or possibly to an inexperienced cook. The aforementioned design helps in easier cleaning and faster cooking, as it keeps heat and the oil inside. Aside from a clean kitchen, the deep fryer itself boasts of easy to clean parts too. 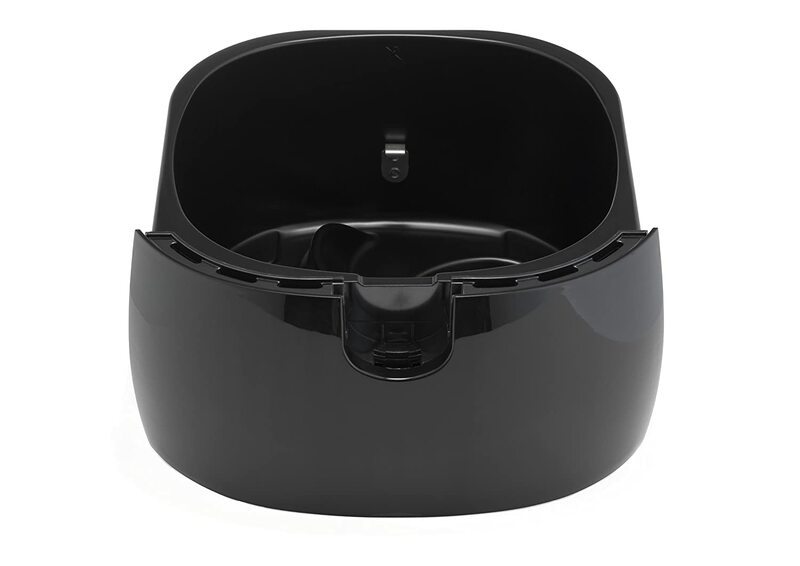 It has a drain inside for removing oil easily and has a one piece removable lid that could make cleaning thorough. Lastly, its fast cooking time and less oil usage also makes it very economical. On the average, it is said to take at least 4mins for every pound of chicken to be perfectly cooked. It also claims to use 33% less oil compared to conventional fryers. 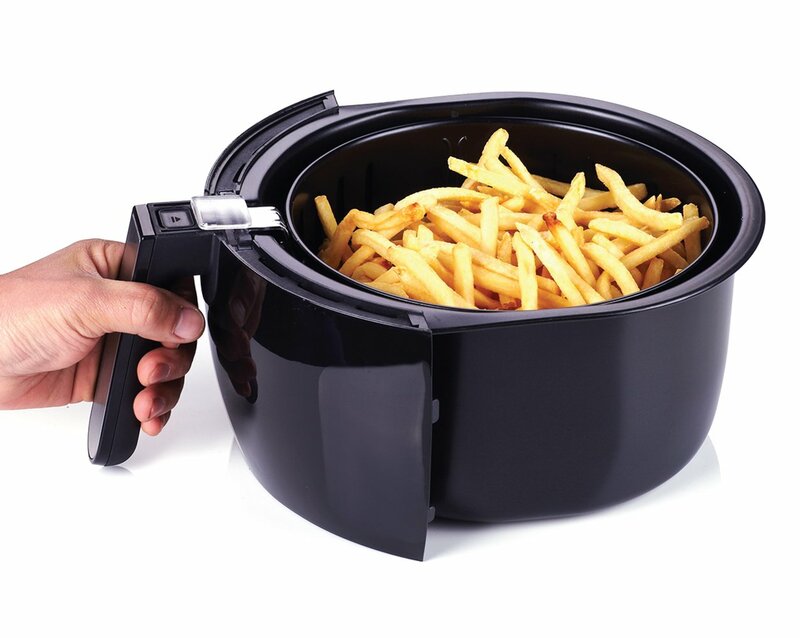 This deep fryer measures 15.43in x 15.35in x 13.66 in and weighs around 14.3 pounds. It runs on 1650 watts. It is operated through an analog control panel that requires turning a dial for setting temperature. Once temperature is reached, the ready signal lights up and you may slowly lower what you need to fry. For setting the time, simply push the timer button to the desired time and release the button after. It also comes with an auto shut-off feature that turns the equipment off once it gets too hot. It also comes with a digital timer that could be thy bestfriend in avoiding overcooked meat. As said, it has a porcelain inner coating and a stainless steel exterior. Insider, the cooking basket is aluminum, and comes with a convenient hook for lifting and lowering turkey. Some of the already mentioned pros are the facts that it is splash-proof, uses less oil, has a great cooking time, an auto shut off, and timer. These all make cooking much easier, safer and economical. 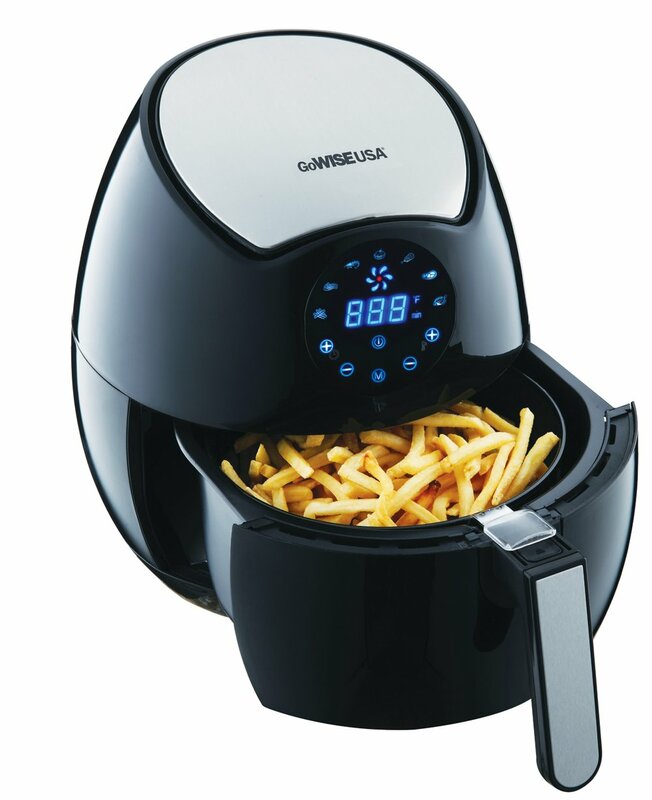 However, there’s more about this deep fryer. It’s durable. With the said materials used for this, it’s definitely made to last long. It’s also a versatile device that is perfect for deep frying turkey (which isn’t something that any other deep fryer or casserole could easily do). It also could be used for boiling and steaming not only for turkey but also for vegetables, seafood, and practically anything! However, this deep fryer is very big. It’s an advantage, as it could cook even a 20 pound turkey, but that makes it very heavy and space-consuming, which doesn’t make it very mobile for picnics or camping plans. The oil also takes time to heat up. All in all, if you’re looking for that equipment that could cook anything from a deep-fried turkey to french fries, this is perfect! Especially if you’re just starting out in cooking, but would really like to try deep frying without putting yourself through the typical hassle that it comes with. Air Fryer Price: How much and is it worth it? Price is one of the biggest factors we consider before plunging into buying a new equipment or investment. In the same way, it is not surprising that air fryer price is one of the things that we put into consideration to determine if we need an air fryer or could live without it. Air fryer price determines not just the money spent on a commodity, sometimes air fryer price is a good reflection of a product’s quality. At times, high air fryer price could be associated to a well-established brand that is known for its commitment to good quality. It could also reflect how much features it has that aide in ease of use and how old or new the model is. 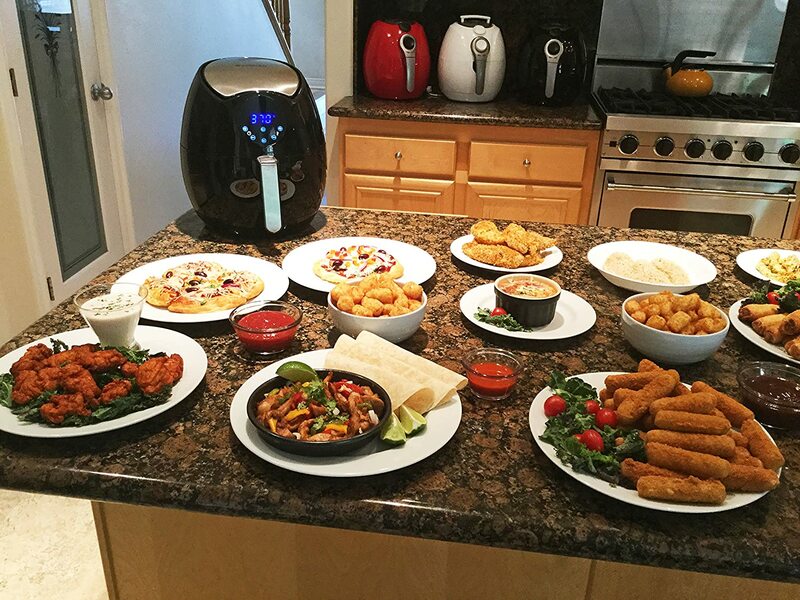 Many people have grown to link high air fryer price to better air fryer quality. However, the occurrence of equally great quality air fryers for a lower price is fairly common in the market now. In this article, three of what may be considered the best air fryers in the market will be compared and contrasted in terms of features, price, and over-all quality. The Avalon Bay AB-Airfryer100B is sold at walmart’s website for $$. It weighs roughly around 13.6lbs and is manually operated. It’s easy to conclude that this air fryer would be best for those still in doubt of using air fryers for cooking. Air fryers are known for allowing cooking with much less oil while keeping food still crispy and tasty. Although being manually operated may be a downside to some, it’s also a good way to get familiar with how air fryers work. This air fryer could cook up to 400 degrees Fahrenheit, is ETL certified, and has rapid air technology that assures even and fast cooking time. The basket however, is not made of non-stick materials and could get difficult to clean at times. The GoWISE USA GW22621 is sold at an original of $$$ at GoWISE USA’s website. It’s 9 x 8.5 x 12 inches and weighs 12 lbs. It’s also digital touch screen operated. This is best for anyone who loves technology and ease of use . Unlike Avalon Bay, this is digital and touch screen, and is equipped with more features for ease of use and safety. The listed price could be on the mid-range for price, but since it sells so well in the market, deals are often not that hard to find. As said, this is a touch-screen digital that comes with a button guard and a dettachable basket. 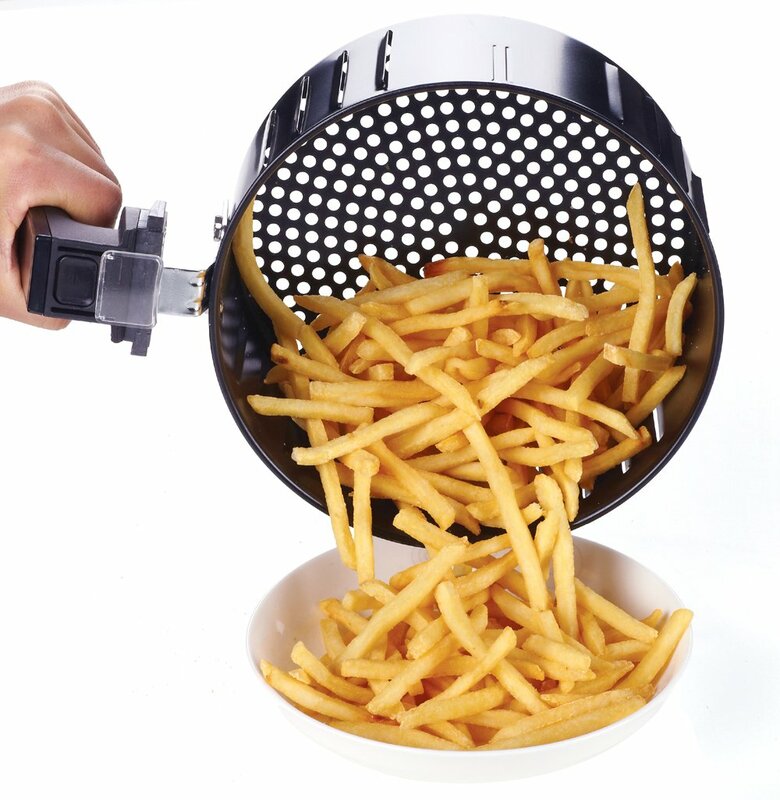 The button guard helps assure that the fry basket won’t accidentally be dettached. It also comes in 7 built-in smart programs, namely: meat, chips, fish, shrimp, chicken, steak, and manual. It comes with a 30min timer and automatically shuts down once it’s done cooking. So no worries on burnt food! 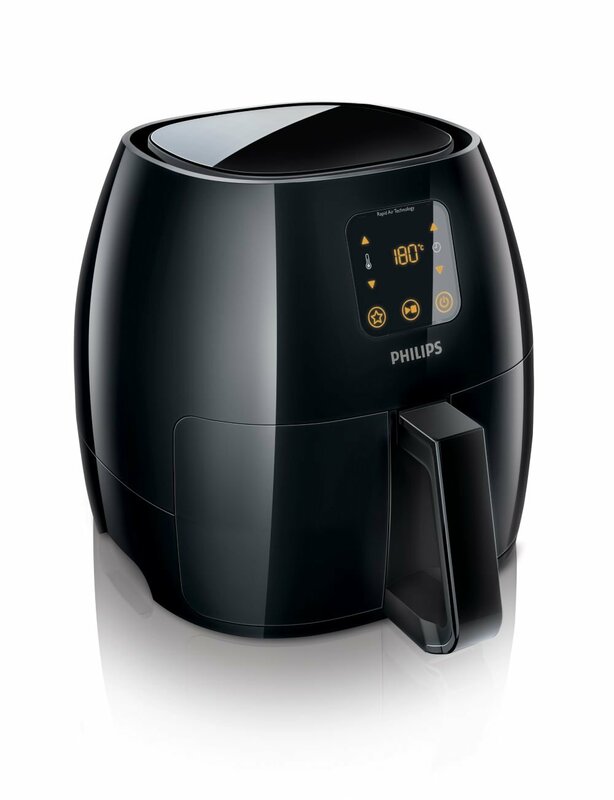 Philips HD9240/94 Airfryer Avance’ suggested retail price from Philips’ website is $$$$. This is the XL version with a size of 16.6 x 12.4 x 11.9 inches at 19 lbs. This is also a digital touch screen air fryer. By saying that it is the best one out there, we’re not saying it’s best for everybody, this has the most in terms of features and even size. It’s best for serious air fryer lovers out there who feed a relatively bigger family or loves cooking in bulk. The 9240 is not often listed as the best air fryer amongst Philips models, most probably for its size. However, we’re putting this here to give bigger options for those who are looking for air fryers that seriously stepped the game up. Philips has smaller models that could be checked out if you prefer a smaller size. This could cook up to 390 degrees. What sets it apart from most air fryers is its timer could be set up to 60mins, with a ready signal and an auto shut-off. It also comes with a smart preset button that keeps the settings ready for your favorite food. One of the best features here is it’s very easy to clean with its dishwasher-safe parts. 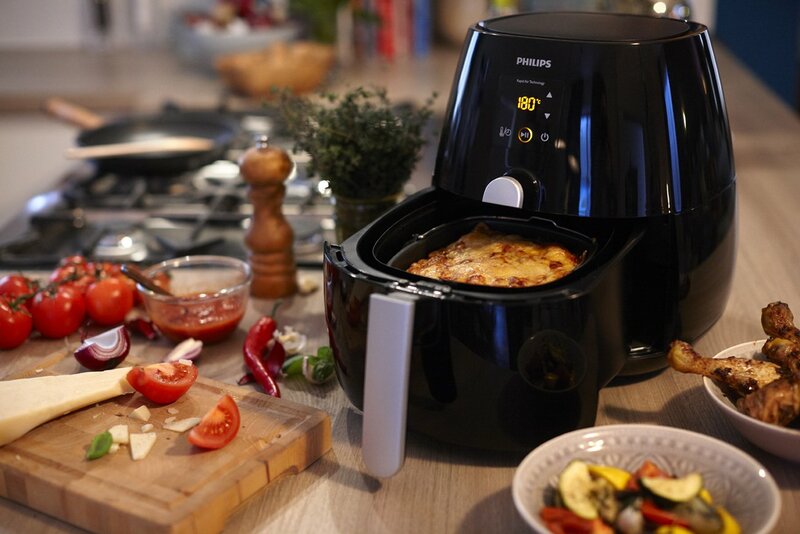 The 9240 is better than the other Philips air fryer models as it allows adjusting the temperature and timer independently, and has more room for more food. It could also cook faster than the other models. I’ve had my air fryer for about 6 months now. As a woman that lives alone for most of my life, this perfectly fits my lifestyle." It makes cooking meals, especially single serving ones, easy and healthy. I don’t remember using my pans, although I think I used it once or twice. Diving into routine meals have been easy with this appliance in hand, and I’d like to share my thoughts about it. I’ve seen the many reviews online, and they all just look so perfect. I would say that I’m completely satisfied and even pleased with this appliance. It’s been a buddy of mine in the kitchen for 6 months now. But I wouldn’t say that it’s perfect. Air fryers are meant do some things, but they can’t do everything. I wrote this in hopes to let you know how you could make the most out of it. That includes not expecting it to be something that it isn’t. Here’s a description first of the product’s highlights and product description before I proceed with its advantages and disadvantages. It’s the latest fourth generation electric fryer new model that is equipped with touch screen technology that is used to operate and select through 7 built-in smart programs, namely: chips, meat, chicken, steak, shrimp, fish, or manually program time. It also has a button guard to prevent accidental basket detachment. There is also a standby mode that the air fryer could turn to automatically when cooking is done. 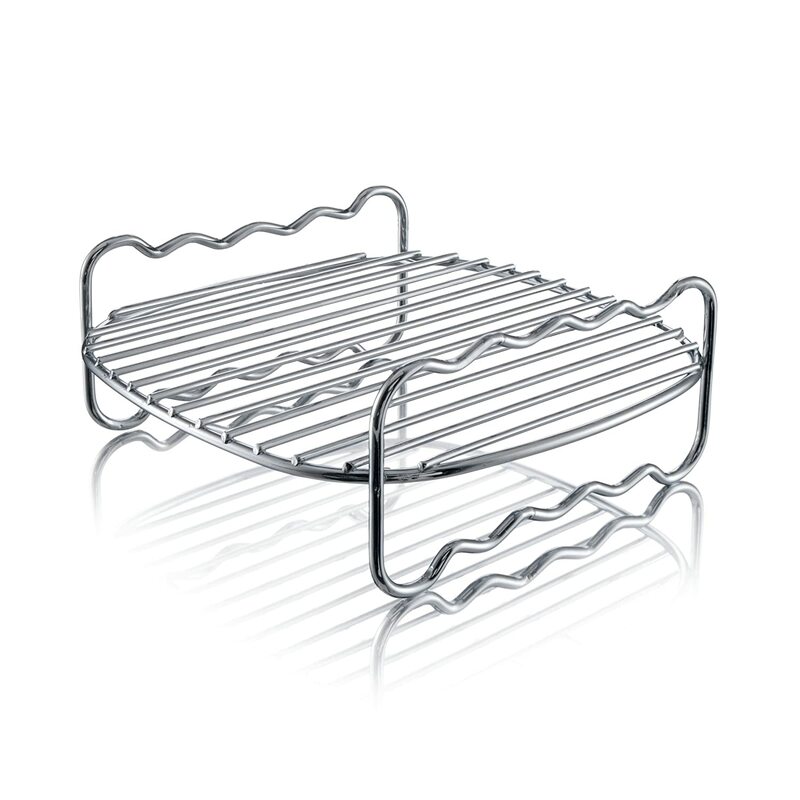 It has a detachable basket and would allow frying and other methods of cooking without added calories and too much oil. Touch screen technology - easy to work with. 7 built-in smart programs - give more choices for your cooking. A button guard﻿ - save you from unwanted accidents. A standby mode - convenience and safe cooking. A detachable basket - healthier way to cook your food. It weighs 12 pounds at 9 x 8.5 x 12 inches and has a 3.2 L capacity with a touch screen display and seven built-in presets. It has a removable tray and a detachable dishwasher-safe basket. It also is equipped with overheating protection and has a non-stick surface. It runs on 1550Watts and is programmable. The size is just right to be relatively portable and could fit into any kitchen size." Let me just say, that first and foremost, this is like a "heaven-sent cooking buddy" for me. I’m bad with estimating oil and I’m not the best in estimating time and temperature on the stove. I was skeptical when I first bought this air fryer, but the risk of switching to a new cooking buddy was worth it. It is totally independent. I basically just drop the ingredients the way I’ve mixed them on the frying basket, leave it there for a certain number of minutes. It’s faster than using pans and stove or a convection oven, and it’s also evenly cooked and most times crispy. The shape and size of the air fryer may let one think that the variety of the things that you can cook on it is limited, but that’s not true. I cook pizza rolls and even cold pizza in it. They really turn out well and frozen goods especially cook nicely and fast. What I like about it the most is the fact that I could cook totally free of oil with it. It makes my lifestyle much healthier, without sacrificing taste. I also look forward to cooking food that I like, free of guilt. Because I know that it’s as healthy as it could be. However, it’s worth noting that air fryers would always be different from other types of cookware. It has the ability to cook without oil and could even strip your food of oil, so it’s mostly really healthy. If you like your food juicy and oily, this might not be the best choice. It’s worthy of trying first before plunging into. I think it’s really good, but have come to realize that some may find it extremely dry and bland. It also would never replace a real human cooking and checking if all parts are perfectly done. There’s no problem in having the food cooked evenly, the heating system is enough for that. However, cooking some floured goods may leave some uncooked flour on the surface, which is awful for most. I don’t like putting flour on most of my food so this isn’t a problem for me. The device is also small and requires limited batches of food for cooking. It cooks by rotating hot air, so it needs ample space inside. This may not work for people who love cooking in bulk. Let me just end by saying that this is not a perfect device, but it works for me, perfectly, actually. Especially my lifestyle." Air fryer is a useful cooking appliance as it allows the user to cook healthy and delicious food. If you are planning to buy an air fryer, then you need to take important factors such as capacity, maintenance into consideration, before making a purchase. You will find it extremely difficult to choose the best model, as there are only a few models that support amazing features. Philips HD9230/26 Air Fryer is considered as the best model because of its incredible features. Because of its amazing features, this model has been highly appreciated by the customers and as a result it has got very high rating from most of users so far. Let’s have a look at some of the features supported by this model. Auto-shut off feature was first supported by few models only, but now it is supported by all the latest air fryer models. This model also supports auto-shut off feature, which makes sure the food is cooked properly. Moreover, this model comes with 60 minute timer with ready signal, which helps the user to cook food perfectly. 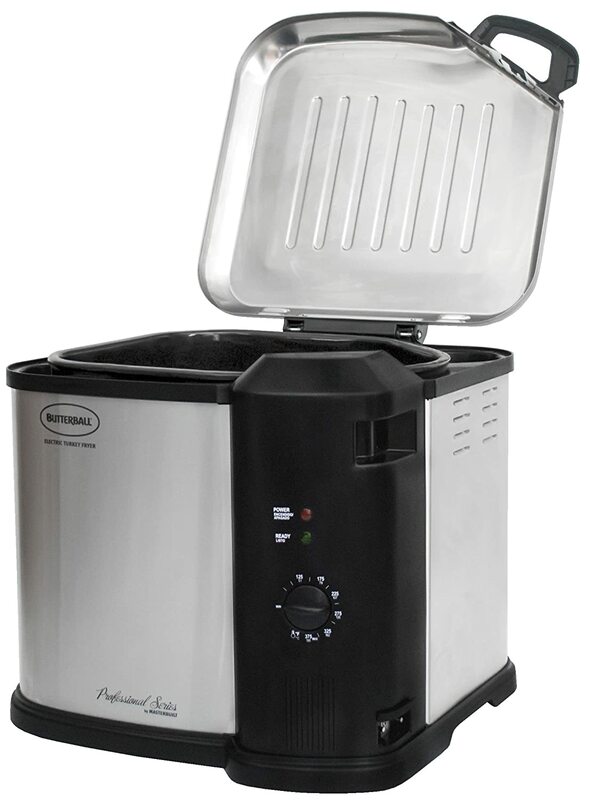 Air fryers usually have a reputation of low storage capacity. However, this model comes with a double layer rack that maximizes the cooking surface and allows the users to cook food in a larger quantity. So, now you do not need to cook food twice as you can cook large quantities of food in one go. 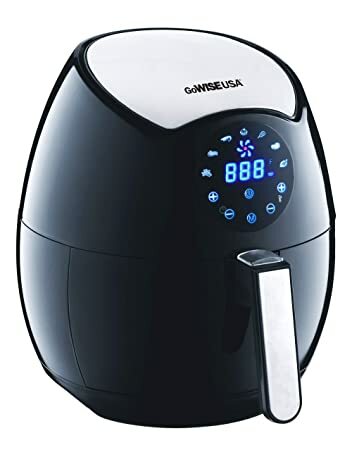 As you are well aware with the fact that an air fryer is responsible for cooking healthy and delicious food, other models use a low amount of oil to cook food, but this model doesn’t use even a tablespoon of oil, which allows the user to eat healthy food. The main reason behind its healthy cooking is rapid air technology. This technology provides the appropriate amount of heating required to cook food without using oil. 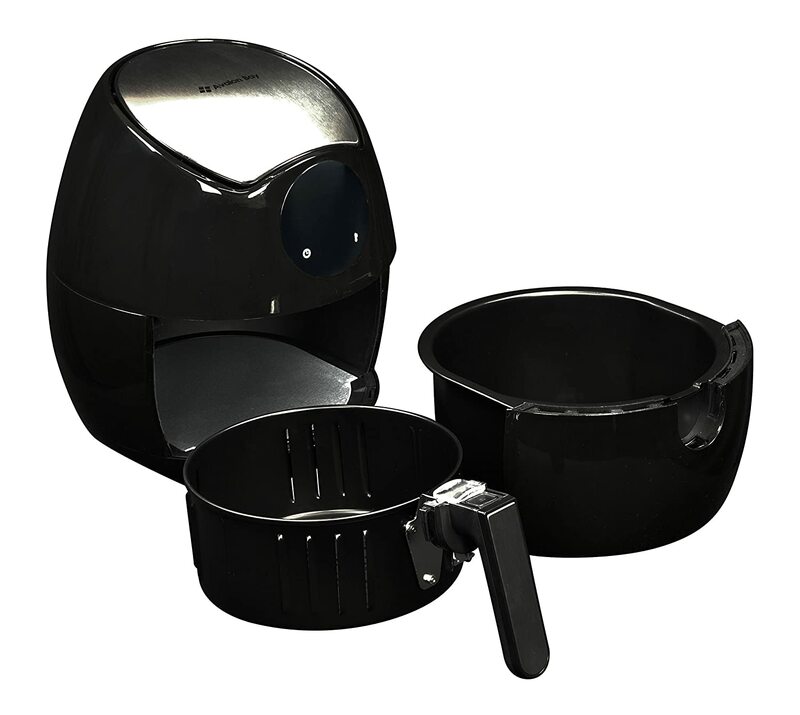 Many users find it difficult to clean an air fryer, but this model can be easily cleaned in a few minutes. This model comes with dishwasher safe parts that make the user job easier. A user can easily wash the parts in a few minutes and use the appliance for cooking a new food dish. Because of these features, Philips hd9230/26 is considered as the best air fryer currently available in the industry. With such incredible features, the performance of this model is far better than the other models. Air fryers have been highly appreciated all over the world because of its ability to cook healthy and delicious food without using too much oil. Is it possible to enjoy fried dishes without using oil for frying? This is one of the most commonly asked questions by the users before buying an air fryer. Yes, it is possible because of the use of hot air circulation technology, which gives the food same level of taste and crispness without using oil. Avalon air fryer review will help you to understand the new hot air circulation concept as this model is considered as the best model because of the use of latest technology. 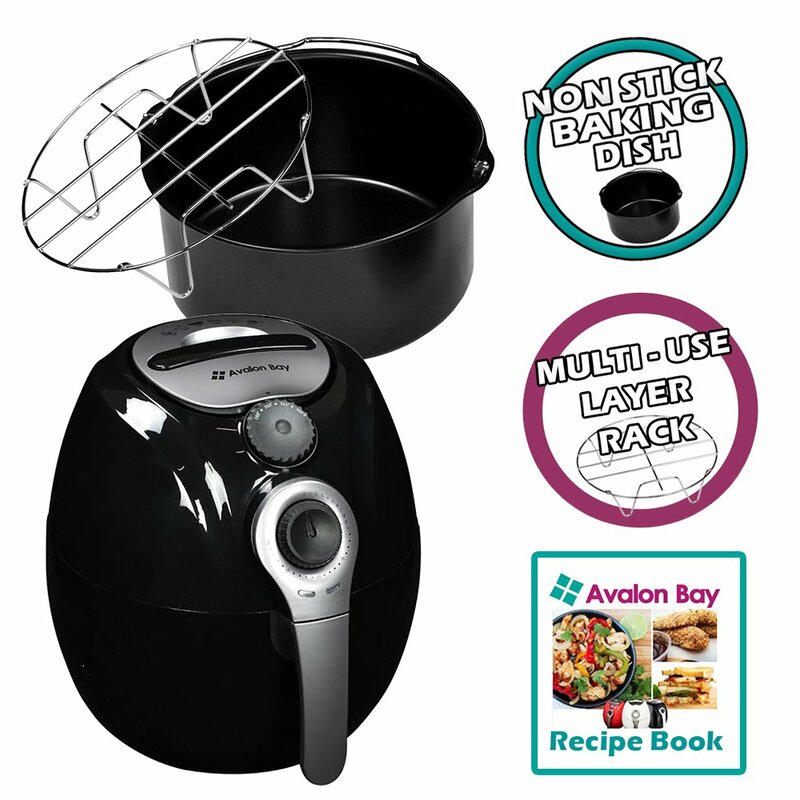 How does the Avalon air fryer work? This model comes with a fan and a stainless steel heating element, which is placed at the top of the appliance. The heating grill is responsible for heating up the air inside the appliance and the fan blows the hot air all around the fryer, which cooks the food properly. So, now you can easily enjoy fried food dishes without worrying about your health, as no oil is being used for cooking. So, now you are well aware with the hot air circulation concept. Let’s have a look at the pros and cons of this model, before you make a purchase. This model is responsible for cooking healthy and delicious food as no oil is used for cooking. You might be thinking that the food cooked by the appliance might not taste the same as cooked by using traditional cooking method. However, it is not the case as the taste and crispness level remains the same. This model comes with a digital display, which makes it easy for the user to operate the appliance. Moreover, it is quite easy to clean the appliance as the food tray is removable. The best part about this model is that it cooks food at a faster rate than other appliance. So, if have an unwelcome guest in your house and you do not have anything good to serve, then this appliance will prove out to be a saviour for you. One of the major drawbacks of this model is its size as it requires a large counter place to place this appliance in this kitchen. If you are having a smaller kitchen, then you need to think twice before buying this model as it might cause you a severe storage problem. No air fryer book is provided along with this model. However, a best alternate to an air fryer book is to take the help of internet as all the recipes are available on the internet. These are some of the major pros and cons of this model. So, if you are looking for an Avalon air fryer review, then you will get positive results only as its pros overcome its cons. What Could You Cook with an Air Fryer? Why GoWise air fryer is considered as the best? KitchenWeapon.com is a participant in the Amazon Services LLC Associates Program, an affiliate advertising program designed to provide a means for sites to earn advertising fees by advertising and linking to Amazon.com. Amazon, the Amazon logo, AmazonSupply, and the AmazonSupply logo are trademarks of Amazon.com, Inc. or its affiliates.